The centrepiece of a $100 million green redevelopment within the main campus. 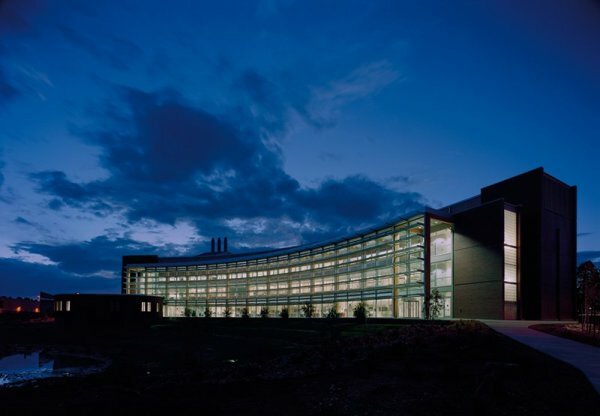 The building brings ecological and biological research departments together with local, innovative small business to create a new hybrid type of University building. The building has achieved LEED Platinum status and become one of the most sustainable buildings in the United States. 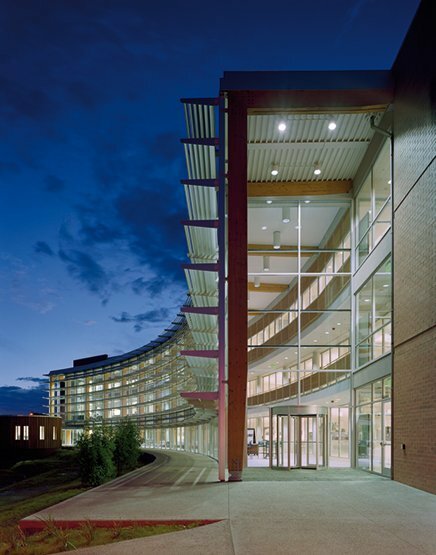 The building has a curved form with a full-height atrium orientated to optimise for passive solar collection. 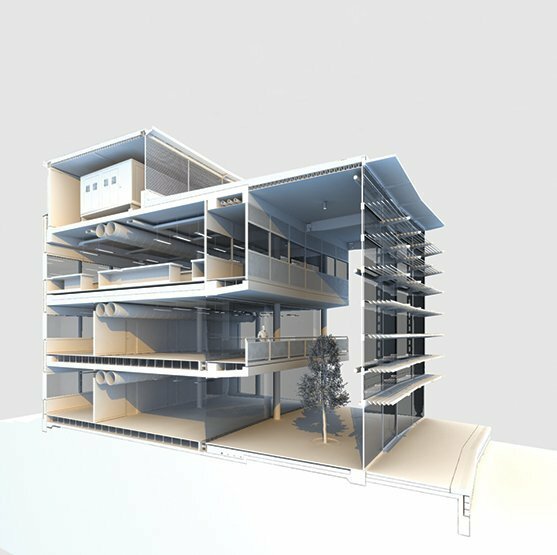 This heats the building completely by the power of the sun in the winter and during the summer, a simple yet technologically advanced passive ventilation and cooling strategy is employed to keep the building comfortable. Local materials such as Navajo Sandstone and Ponderosa Pine were used on the façades to create a contextual and suitable response to the local climate and culture. 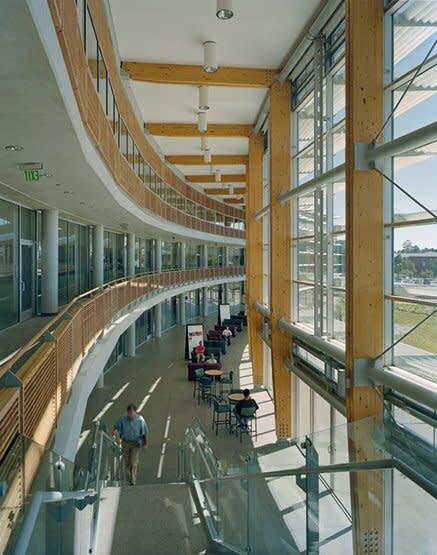 These systems were integrated into the building fabric in such a way to allow students to learn by observing. 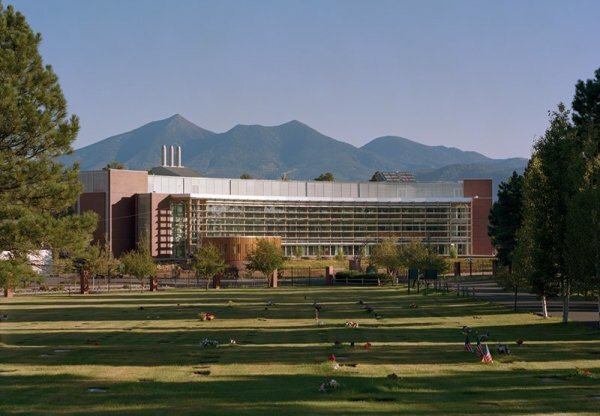 The building, in this sense, has become a pedagogical, living laboratory. 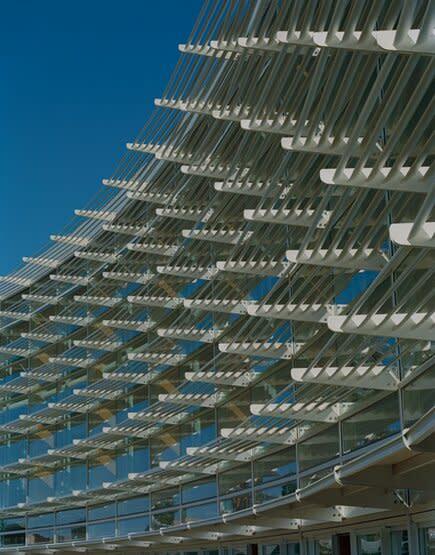 We worked with Tucson based firm Burns Wald Hopkins who were the Architect of Record on this project.